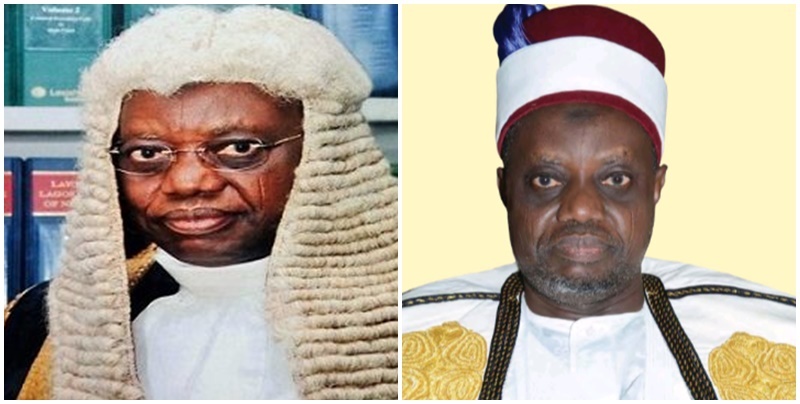 There are indications that Lafia-born jurist Justice Sidi Dauda Bage who earlier this week emerged the new Emir of Lafia in Nasarawa state has retired from the Supreme Court of Nigeria. 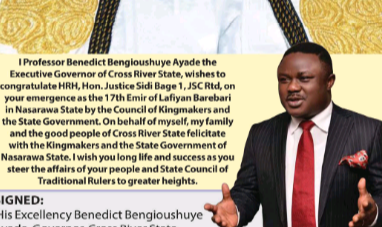 This was indicated in a congratulatory message from the Cross River State Governor, Professor Benedict Ayade to the Emir where he addressed Bage as HRH Hon. Justice Sidi Bage 1, JSC Rtd. President Buhari had in December 2016 appointed HRH Hon. Justice Sidi Bage 1, JSC as Justice of the Supreme Court of Nigeria on the recommendation of the National Judicial Council (NJC).Bage’s emergence is coming about 6 weeks after the death of late Emir of Lafia, Isah Mustapha Awgai who died on 10th January 2019 at the age of 84 years.